Express Scripts Holding Co. has turned the tables on Anthem, blasting the health insurer in a new lawsuit by arguing Anthem is the party at fault for the deterioration of their drug pricing agreement. But Express Scripts countered with a lawsuit of its own filed Tuesday in U.S. District Court for the Southern District of New York. The PBM denied Anthem's allegations and elevated the rhetoric, making a messy outcome all but certain. Anthem and Express Scripts have been working under a 10-year pricing contract since 2009, when Express Scripts agreed to buy Anthem's struggling in-house PBM for $4.7 billion. Express Scripts offered two scenarios to Anthem, according to the redacted lawsuit: take the $4.7 billion and higher pricing for Express Scripts' services over the duration of the contract, or take less cash upfront and better pricing over the long term. There is so much dirty laundry being aired to the public. I can't tell you how much I'm enjoying this battle. 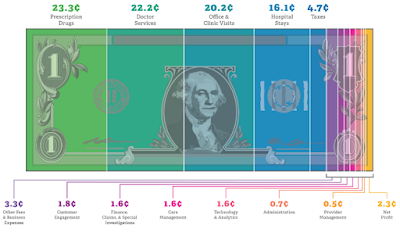 Most important here is the $4.7 billion Anthem took upfront instead of securing binding price transparency on the back-end. Now, it is crying foul. In true Game of Thrones fashion this may have been Anthem's strategy all along; take the cash and sue later. Considering Anthem knows how the "game" is played and owned a PBM it sold to Express Scripts, the theory makes sense. Or the previous management team could've decided to improve the balance sheet (thus higher bonuses) and let the new team deal with the overpayments. I liken this scenario to self-funded employers who pay a relatively small admin fee upfront, say $.50 - $3.00 per Rx claim, but have not secured binding transparency or better yet a fiduciary standard on the back-end. In this scenario, plan sponsors have essentially written a blank check. 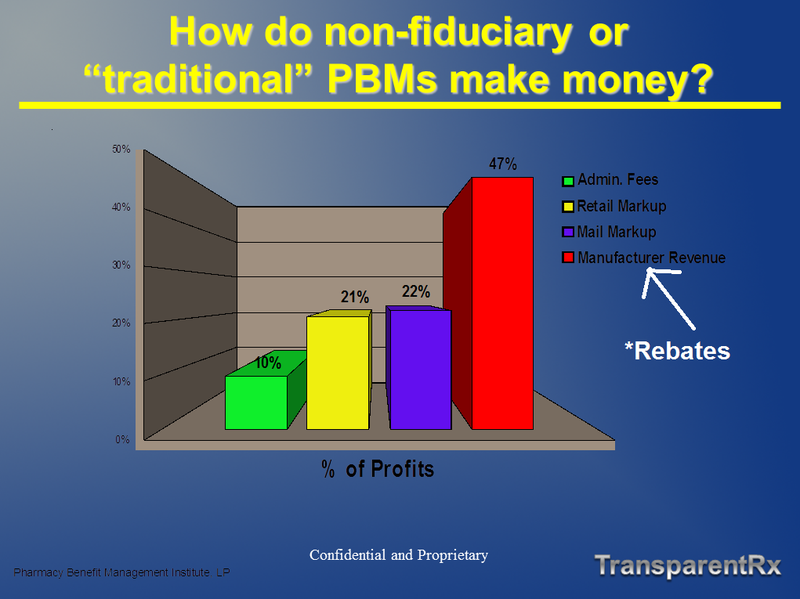 Inevitably, the traditional PBM will augment the low admin fee with hidden cash flows. HCFs (hidden cash flows) can take shape in several ways here are just a few: spreads, rebate attrition, excessive mail-order mark-ups and differential contracting. Here's the bottom line. 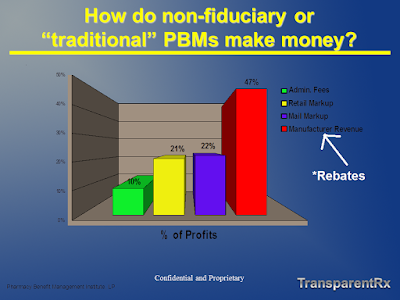 Any PBM that claims to be transparent is actually opaque unless it offers either binding transparency or a fiduciary standard. If you're a plan sponsor or benefits consultant and your client doesn't have either of these two types of contracts, at a minimum, learn to measure the financial implications of your decision and solutions to right the ship. “Although Anthem could have passed this upfront money through to its members—in the form of reduced drug pricing—instead, Anthem used the upfront payment to repurchase its stock, which applied upward pressure to Anthem's stock price, thereby enriching Anthem's shareholders and management (who held substantial stock options),” Express Scripts argued. In 2009, Anthem, then known as WellPoint, repurchased 57.3 million shares at a cost of $2.6 billion. Express Scripts also alleged that Anthem is the party that has failed to negotiate new terms in good faith. The current agreement allows Anthem to conduct a market check periodically to see if Express Scripts is obtaining the best prices available for prescription drugs. Anthem CEO Joseph Swedish told investors this year that an internal analysis showed the insurance company was owed up to $3 billion in savings from Express Scripts. But Express Scripts, according to Anthem, refused to negotiate on new drug pricing terms for more than a year. 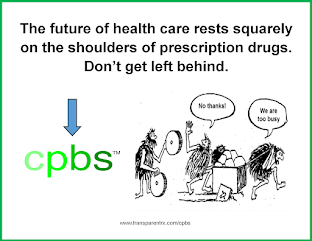 Not so, Express Scripts countered. The PBM said it made “five separate counter-proposals to Anthem between June 2015 and March 2016,” all of which were within the $2 billion to $2.8 billion range that Anthem executives had asked for or expected.